Some physicists find breakfast cereal inspiring. In 2013 a Yale postdoctoral researcher decided to figure out how the shape of cereal affects the way individual pieces join up when floating in milk.1 As objects float on the surface of a liquid, they stick to each other thanks to capillary interactions, where the molecules of the liquid are attracted to the adjacent molecules of the solid (e.g. a cornflake). As they do so, the objects end up aligning with as much surface contact as possible. If physicists can figure out the precise forces behind this process, this is useful knowledge for materials science, especially in understanding cases where molecules self-assembly into a thin film – a feature widely used in electronics, electrochemistry and elsewhere. Now, a team of researchers, lead by physicists from University of Sydney’s Particles and Grains Laboratory have once again used breakfast cereal to gain insights for materials science – this time to measure the patterns brittle, porous materials create when compacted under various kinds of pressure. 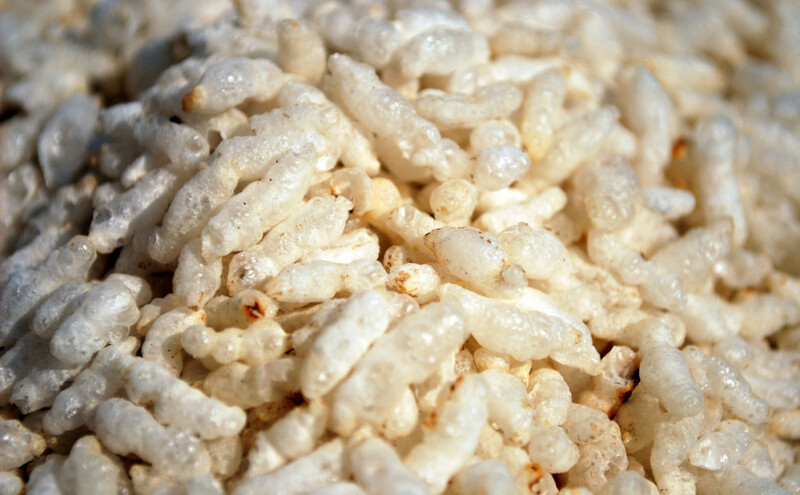 They used puffed rice to discover a model that would explain how things like rocks, snow, foams and pharmaceutical powders move and collapse when crushed. Physicists have done similar experiments with snow, but the authors write that puffed rice is more compliant, and also more brittle – hence there are more patterns to be observed when you mash it. As with floating corn flakes, this isn’t a purely theoretical exercise, either – understanding the general principle of how porous materials crush is valuable knowledge for discerning geological patterns, meteorite impacts, or any project where a granular, brittle material is used. I wonder what else breakfast cereal can help discover.